Google has only been in the serious VR game for a few months with Daydream, but that doesn’t mean it’s a small player. Many of its interactive and immersive efforts extend beyond the limitations of its phone-based headset, including Title Brush and Google Earth VR, and a new acquisition looks to take VR to the next level. 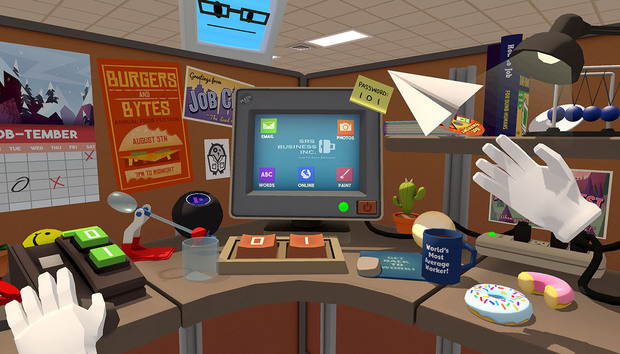 Relja Markovic, engineering director of VR and AR at Google, has announced that the company has acquired Owlchemy Labs, the studio responsible for award-winning titles such as Job Simulator and Rick and Morty: Virtual Rick-ality. However, Owlchemy says it is “free to pursue raw creation and sprint toward interesting problems,” despite its new owners. Google has slowly been expanding the Daydream library since its release last year, but it’s still quite small. Most recently, Virtual Rabbids and Beartopia VR were announced, but neither has been released yet. Daydreaming about the future: With I/O just around the corner, there are certainly some interesting possibilities here. Daydream hasn’t exactly taken off like it seemed it would, but an Owlchemy-exclusive title would certainly boost interest, as would a more powerful device like the Rift or the Vive. Google I/O has been a launchpad for many of Google’s VR efforts, including Cardboard and Daydream, so it’s quite possible that we get a glimpse at the future of the platform.